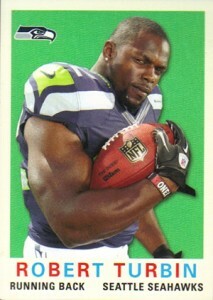 Check your cards carefully. 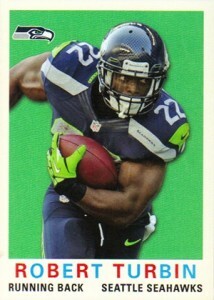 2013 Topps Archives Football variations are surfacing, offering another tough base set chase. 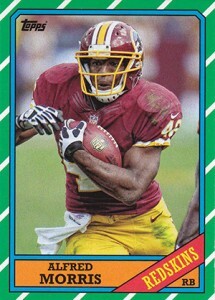 They're also extremely rare. 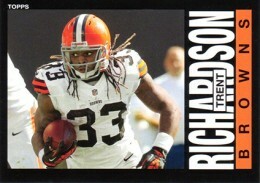 Although a final checklist has yet to be released, it looks as though the variation short prints cover key members of the 2012 rookie class. 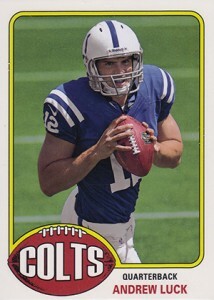 Unlike some other sets, the 2013 Topps Heritage Football variations do not follow a pattern. They're simply different photos printed in much small quantities. 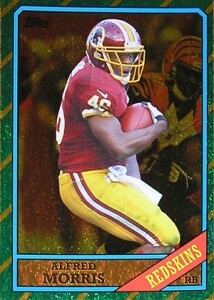 Variations are also in the Gold parallel set. 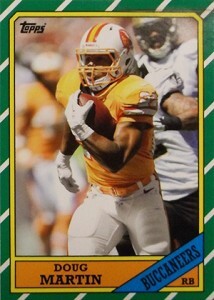 2013 Topps Archives Football variations are inserted 1:384 hobby packs. They're even tougher at retail, falling 1:692 packs. 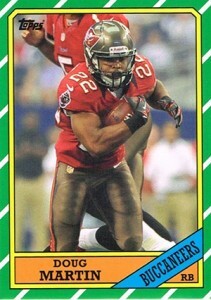 Gold parallels appear to be about twice as rare. 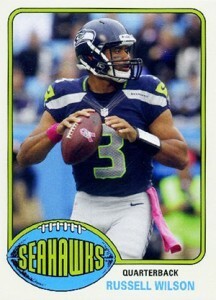 Below you'll find a full list of 2013 Topps Archives Football variations with images for both versions as well as short descriptions of what to look for. 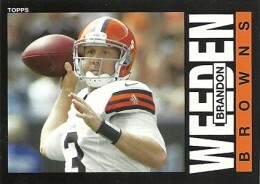 The first image shows the base version of the card. The second image is the short print variation. 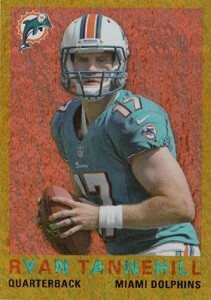 Here’s a gold sparkle variation…I wonder how rare this one will be! 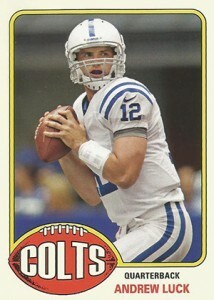 I pulled a Andrew Luck Super Action and would like to sell if intrested. Jason � Crazy! I was literally just looking at the same card. Turns out a base version went quickly a couple of days ago thanks to a low BIN. Will add to the gallery in the AM. Thanks! 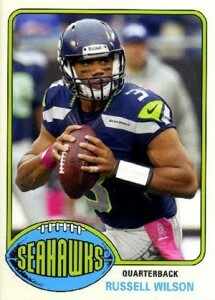 It’s really weird it seems the Luck, Doug Martin and Russell Wilson are easier to find then RG3, Tannehill and Blackmon. 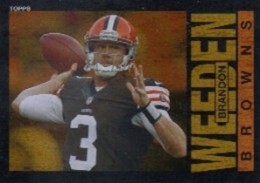 I saw an RG3 gold sold for $400! 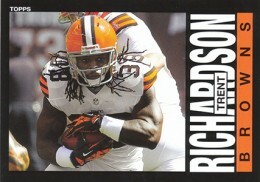 It would make sense if RG3 was a super short print but Blackmon? Jason � Some have been showing up more often than others, but there could be several factors for that. 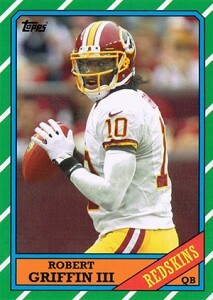 RG3 and Luck command the most excitement, no matter the card. That means people are more likely to list so it could give the appearance of one card being more plentiful than the other. 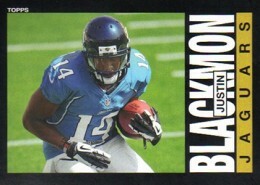 Plus, I suspect we’ll see a couple of more Blackmon’s surface now that we know what to look for. 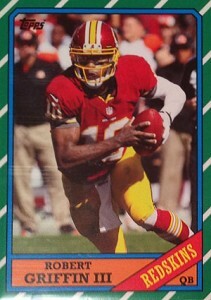 Ryan >> I agree those two guys have the most card excitement but there have been a lot less RG3’s surface on eBay then Luck, and the variations were discovered about the same time that seems odd to me. 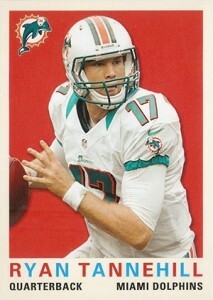 I have a Ryan Tannehill GOLD / TEAL Jersey Variation RC,and I can’t find a similar one anywhere. 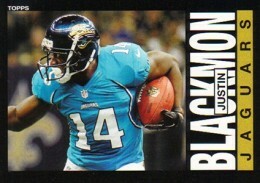 It is the EXACT card shown in the above photo.